Richard Freeman to face UK's General Medical Council in February and may lose license to practice medicine. LONDON (AFP) — Former British Cycling and Team Sky doctor Richard Freeman is to face misconduct charges brought by Britain’s General Medical Council (GMC), it was announced on Monday. An independent medical tribunal, which will start in Manchester on February 6, is to hear GMC claims that Freeman was involved in a cover-up after allegedly ordering large quantities of testosterone, a performance-enhancing drug banned by the World Anti-Doping Agency (WADA), to be delivered to the National Cycling Centre. Freeman was also the doctor at the center of the so-called ‘Jiffy Bag’ scandal which saw Team Sky accused of a suspected anti-doping violation regarding a mystery package reportedly destined for star rider Bradley Wiggins in 2011. Freeman has previously denied all doping charges against him. 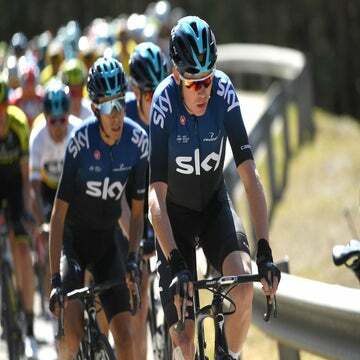 His Sky teammate Chris Froome won four Tour de France titles and Geraint Thomas became the team’s third winner of cycling’s marquee event in 2018.